Ever heard of someone with a ‘bilious temper’ or someone who is ‘choleric?’ Well, even before the advent of modern medicine, the liver was associated with anger and irritability; ancient Greek doctors attributed an ill-temper to an excess of yellow bile produced in the liver. 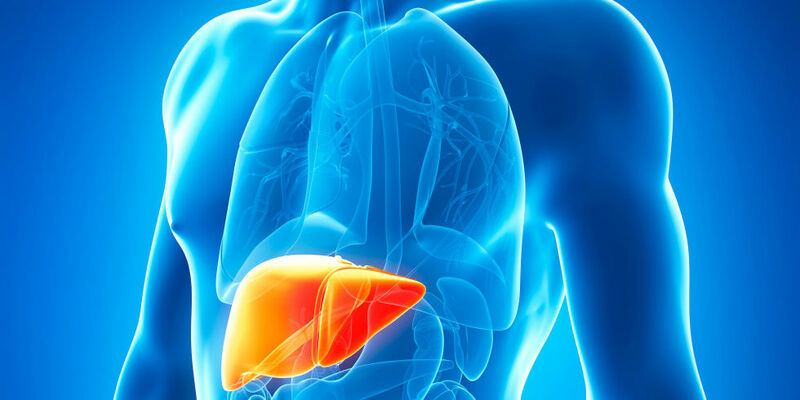 Thanks to modern medicine though, not only have we found that the liver does in fact have an, albeit more nuanced, connection to our tempers, we have also discovered that a healthy, functioning liver has a strong link within our bodies to the creation of life itself. When we talk about the liver, we seldom think about fertility; however, recent research has shown that it plays a very important role. “This is the first time it has been demonstrated how important the liver is in fertility,” said Adriana Maggi of The University of Milan in Italy. She was speaking, in 2011, of her team’s research that showed how estrogen receptors in the liver play a crucial role in fertility. It was revealed that mice on a calorie-restricted diet, as well as those lacking estrogen receptors in the liver, showed a decline in a hormone known as IGF-1, which promotes adequate growth of the lining of the uterus, as well as normal progression of the estrous cycle. But when the calorie-restricted mice were given more protein in their diets, their reproductive systems started to function properly again. The same principle was tested with dietary fats and carbohydrates, and these had no effect on the estrogen receptors. The findings have wide-ranging implications; they suggest that a diet low in protein and high in carbohydrates may adversely affect fertility. It may also explain, Maggi says, why people who are anorexic are generally infertile. Ray Chung, MD, medical director of the liver transplant program at Massachusetts General Hospital, has spoken in detail about ways we can look after our livers. “Taking care of your liver is far more about avoiding what’s bad than it is about eating or drinking things that are particularly nourishing to the liver,” he says. So it’s important not to drink too much alcohol, and watch out for certain medicines that can adversely affect your liver. After all, this crucial organ processes everything we ingest. However, it’s still important to avoid excess weight gain, as non-alcoholic fatty liver disease can cause great damage to the organ. Aside from exercise, diet can also play a role, as has been emphasized by the recent research carried out in Milan. Fast food contains most of the things we want to avoid if we’d like to maintain a healthy liver. Too much fat and sugar, including high fructose corn syrup, can cause serious damage to the liver. High amounts of salt in processed foods like sausages and bacon, meanwhile, can lead to fatty liver disease, while artificial sweeteners are also not recommended. Garlic is often promoted in liver-cleansing diets. A small amount of this staple vegetable can activate liver enzymes that aid our bodies in flushing out toxins. One of the many health benefits of green tea is that it is full of an antioxidant called catechin, known to assist liver function. Turmeric, which is used extensively in Indian cuisine is known to help us flush out dietary carcinogens. Avocados help us produce glutathione, a compound that promotes liver cleansing in our bodies. Leafy green vegetables as well as fruit rich in vitamin C will help to protect our livers. As suggested by the research carried out by Adriana Maggi and her team, a diet rich in protein will also help to activate the estrogen receptors in your liver, meaning that lean meats such as chicken and turkey may be a great addition for those looking to boost their fertility. Golden milk is a drink that many people incorporate into their diets purely for its health benefits. Among its many health benefits are its ability to boost the immune system as well as, of course, cleansing your liver. Black pepper helps to massively increase your body’s absorption of turmeric, along with its many benefits. Mix all ingredients in a small sauce pan and mix well. Turn the heat to medium high and stir constantly until the mixture is a thick paste. This does not take long, so don’t walk away from the pan. Combine all the ingredients, except honey, in a saucepan. While heating, make sure to stir constantly, and do not allow the mixture to boil. The name says it all. This soup is full of ingredients that will flush the toxins out of your body and result in healthy liver function. In a soup pot, heat the coconut oil, add the onion, garlic, carrot, parsnip, celery sticks, and broccoli, and cook over low heat for five minutes, stirring frequently. Add the filtered water or vegetable broth, bring to a boil, then cover the pot with a lid and let simmer for 5‐7 minutes, until the vegetables are tender, but not mushy. Stir in the greens, then transfer into the blender, add the chia seeds and lemon, and process to obtain a smooth cream.